There is no doubt that years ago D1 used to be a little more diversified when it came to venues. Looking at this years' schedule you will notice that they have decided to hold multiple rounds at Okayama, Fuji and Ebisu, in an attempt to slash costs for teams and to get a good spectator turn out. 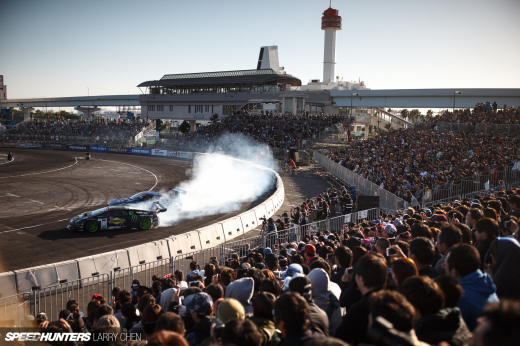 I guess it's a good idea in such hard times, but I can't help thinking back a few years when D1 hit tracks like Tsukuba, which we looked at yesterday, or probably my favorite, Sportsland Sugo. The Yamaha-owned race track is located just south of Sendai city in Miyagi-ken, a little north from Ebisu circuit in Fukushima-ken. The circuit layout features lots of challenging corners with constant elevations changes. I have always called it the Japanese Nordschleife! 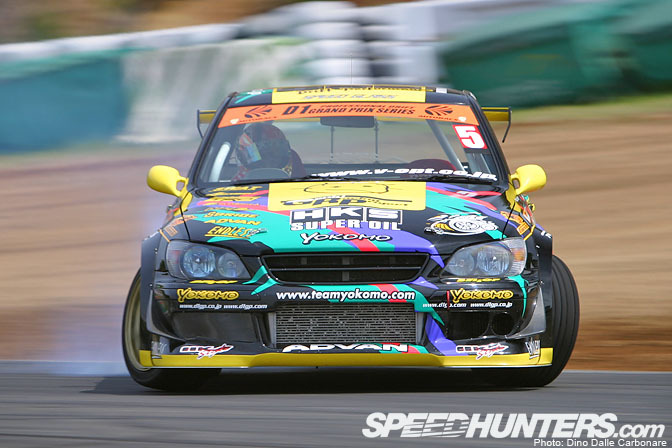 The first corner is where all the action occurred and as you can see from this picture of Taniguchi in the HKS Altezza, they used to come in fast and VERY sideways. 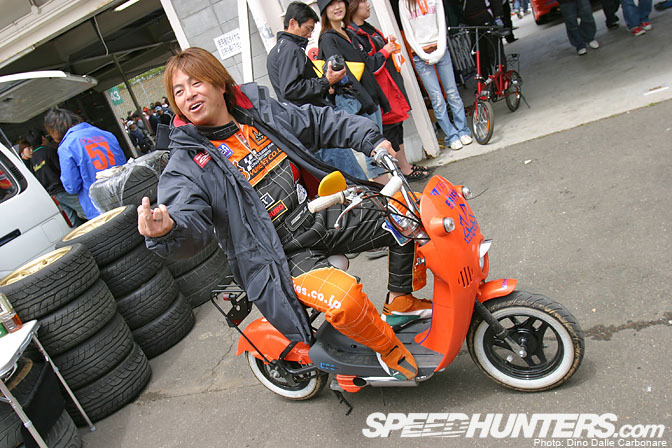 There is Kumakubo ready to go out for a practice run in his, then new, Team Orange GDB. Hit the corner right and your rear wheels would dip down towards the kitty-litter as the front right corner would lift up in the air. This is Suenaga demonstrating how its done. You see why D1 NEEDS to go back to Sugo!!?? There was no doubting the venue was perfect for the tsuiso battles too, as the exit from the main corner would dive down into a short straight and then a tight left-hander. Every driver would just drift all the way as there were always tons of spectators scattered around the course. I think this shot of Tanaka stayed as my wallpaper for a good 6 months after I took it! And speaking of Tanaka here he is giving his usual salute to the fans. I hope he doesn't do this when he heads overseas! 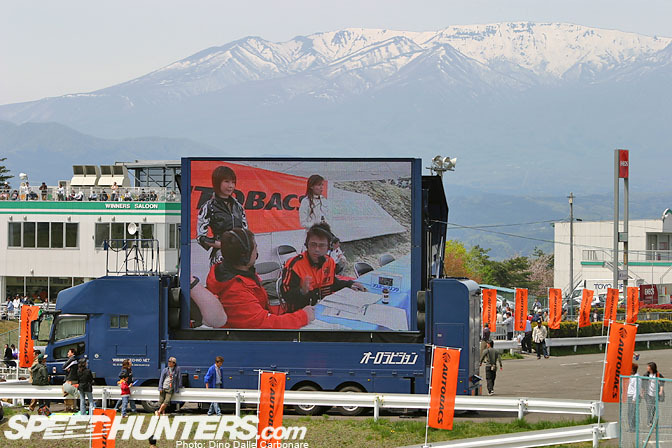 The backdrop was breathtaking, even in May the surrounding mountains were snowcapped. 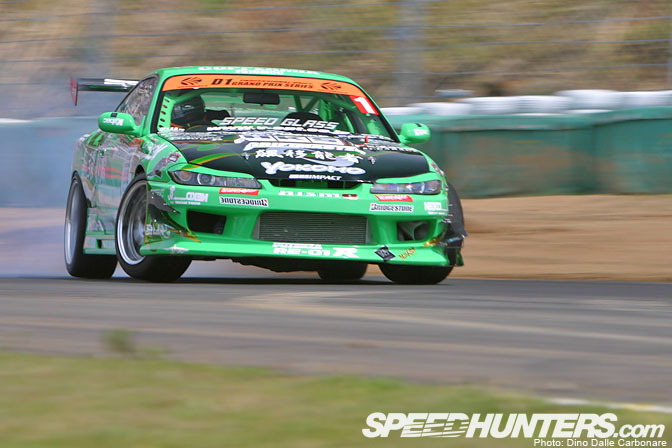 We saw Kazama's S15 in the pits at Tsukuba back in 2003 yesterday. Here it is in action. And again as he exits the corner. Kazma ended up going into the final of this round against Nomuken and his Blitz ER34. …while others were finding it hard to keep their "rally" cars away from the dirt. Kazama ended up taking the win against Nomuken. Here they both are getting up to their usual antics! 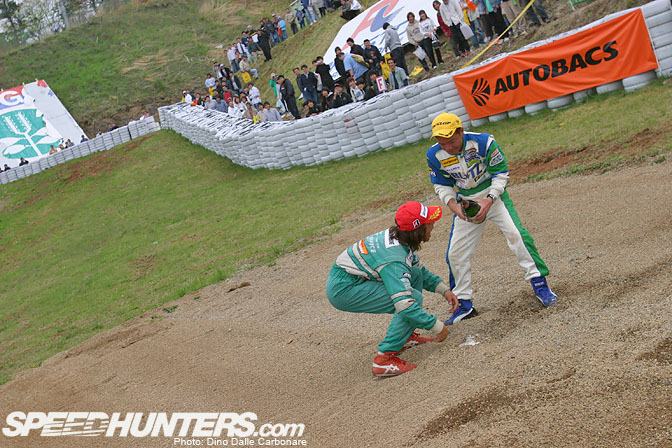 Nomuken is still an insane driver and a hella funny guy...sick pictures Dino! could we get that shot of Tanaka as a desktop?? +1 on the Tanaka shot as a desktop, please? Word up on the Tanaka desktop! Also one of Suenaga would be rad! That 3 wheel shot is amazing! I saw one once of Kumakubo getting as hectic somewhere... I gotta try that some day! hks altezza on wallpaper please!!!! Suenaga Dirt drop background pretty please!!! great pics dino. good to see Orido back out there mixing it up again. 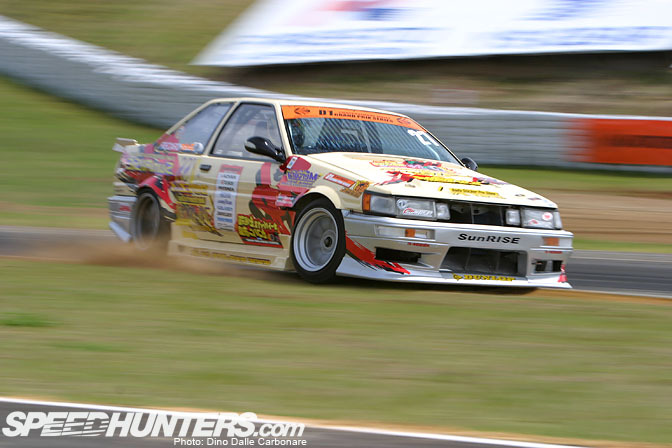 The best livery for RE-Amemiya and alot of the other teams. Wow didnt know you took the pic of the re rx7fd! 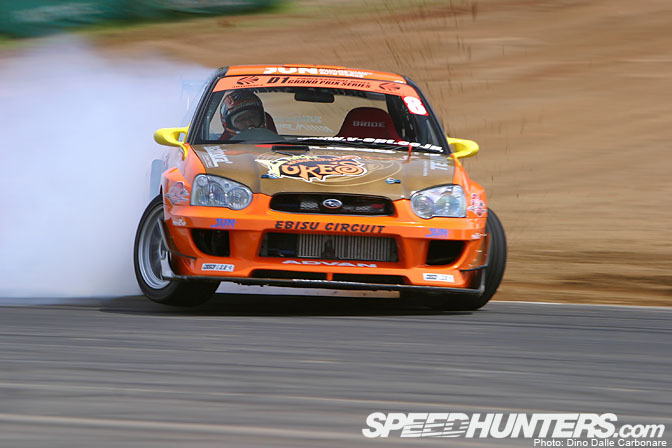 thats one of my all time fav drifting pics! Dont you mean 2 and a half, lol. I reckon this Dino bloke is biased. 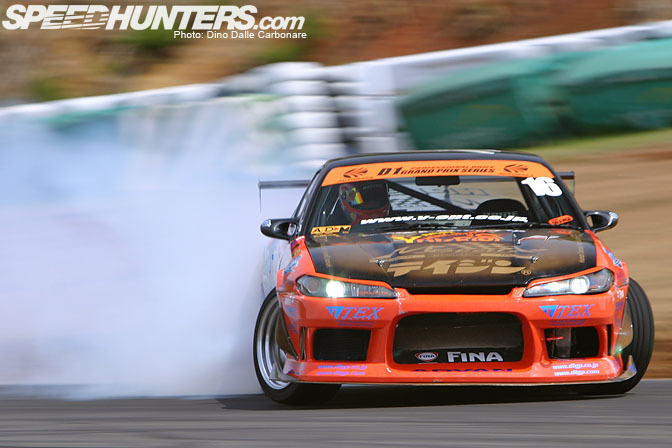 can we have tanakas S15 as desktop?? 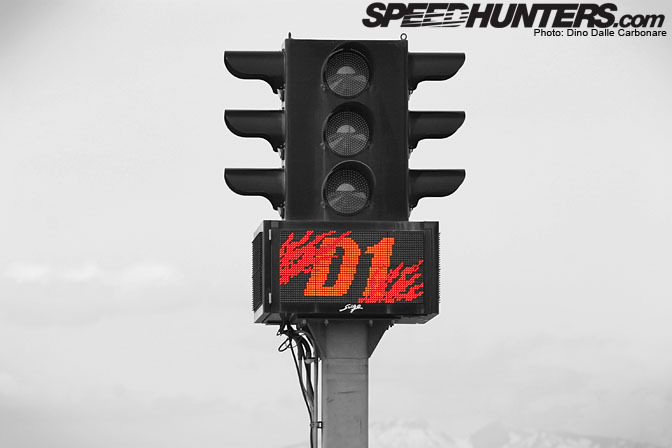 I love seeing a Subaru or two in Speedhunters! Esp. when it involves a dirt drop! HOLY S$!T now i get what's so great about sugo!!! dirt drop technique is my favorite!! 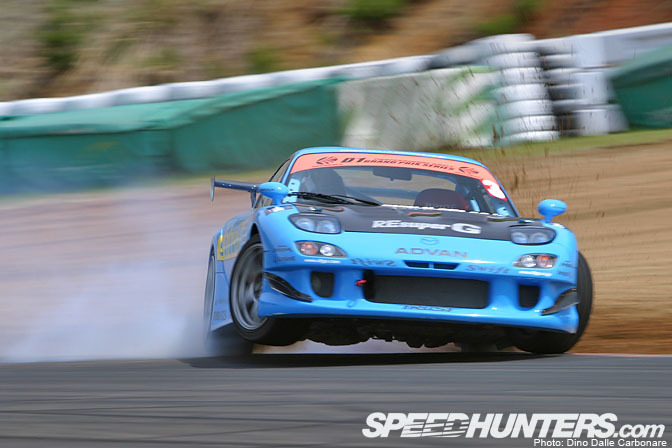 Man, I miss Imamura's FD. That damn thing was a monster. WHERE'D D1 GO? sugo kart was one of my favorite tracks. isn't that picture of Suenaga dropping into the dirt from roan-inish blog? sorry for the ignorance if that's your blog. haha. please can we have a wallpaper of the AE86 taking a shortcut??? i think its an awsome pic!